A complete account of correlations has been shown to make б-like repulsive interaction potentials inefficient for any N-particle quantum system in the D-dimensional space with D ≥ 2. A.I. Akhiezer and V.B. Berestetskii, Quantum Electrodynamics (Interscience, New York, 1965). E.P. Gross, Nuovo Cimento. 20, 454 (1961). L.P. Pitaevskii, Zh. Eksp. Teor. Fiz. ` 40, 646 (1961). B.B. Kadomtsev and M.B. Kadomtsev, Usp. Fiz. Nauk 167, 649 (1997). T.H.R. Skyrme, Nucl. Phys. 9, 615 (1959). D. Vautherin and D.M. Brink, Phys. Lett. B 32, 149 (1970). P. Ring and P. Schuck, The Nuclear Many-Body Problem (Springer, New York, 1980). G.V. Skornyakov and K.A. Ter-Martirosyan, Zh. Eksp. ` Teor. Fiz. 31, 775 (1956). R.A. Minlos and L.D. Faddeev, Dokl. Akad. Nauk SSSR 141, 1335 (1961). R.A. Minlos and L.D. Faddeev, Zh. Eksp. Teor. Fiz. ` 41, 1850 (1961). V.V. 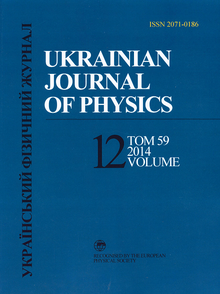 Babikov, Phase Function Method in Quantum Mechanics (Nauka, Moscow, 1988) (in Russian).